Do you get lost in the world of UE categories? 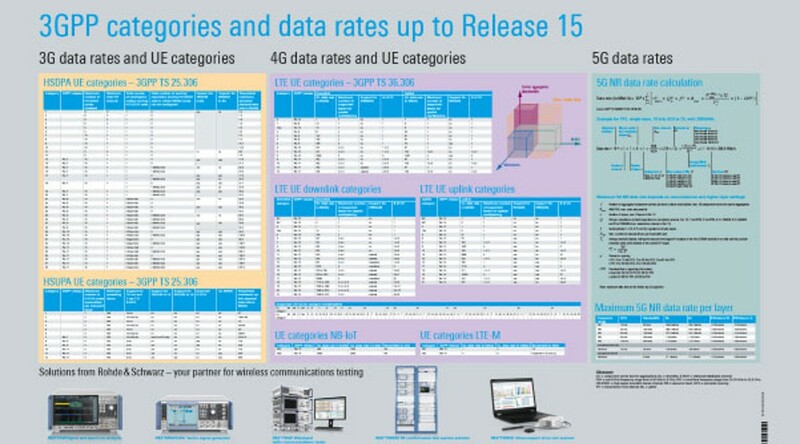 3GPP specified the first UE categories in Release 5. They define the various key parameters a UE supports in order to achieve a certain data rate. UE category specifications have since evolved and are particularly important for LTE-Advanced Pro. 5G introduces a new way to define throughput values. Get a concise overview of all UE categories from Release 5 to Release 15. Register now and receive your free poster.